First, we have to make some granola. Fortunately, I did have most of the usual suspects on hand: rolled oats, sliced almonds, flaked coconut, honey… Just stir and bake for 5–8 minutes at 400°. Mine burned a little around the edges because I got distracted and left it in a bit too long. You could avoid this by stirring or turning it after about 5 minutes, but otherwise, just take it out of the oven when it smells nice and toasty. Even if you accidentally burn yours, too, there should still be plenty to fill and top of the muffins! Meanwhile, whisk together the dry ingredients. 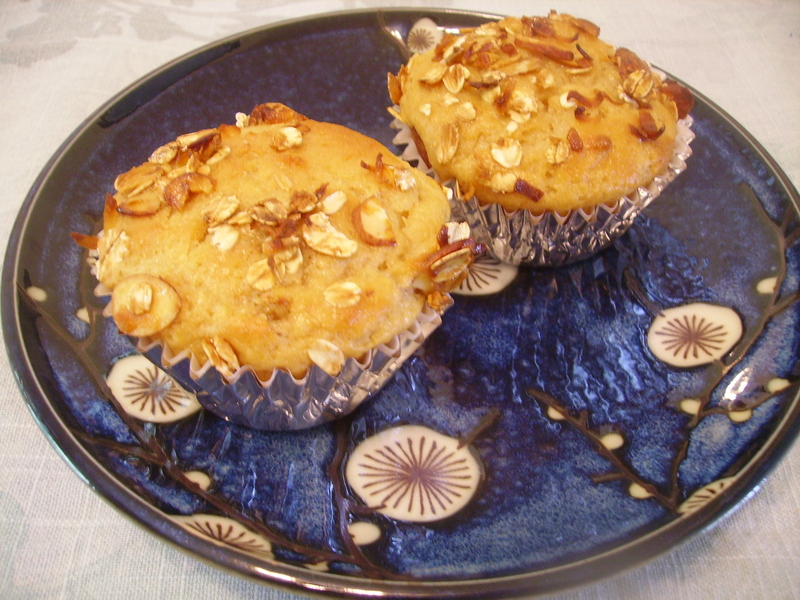 For an even healthier muffin, you could use all white wheat flour. Stir in the yogurt, honey, and oil. Again, for a healthier muffin, you could use applesauce instead of oil; I hesitated to do that because I knew that yogurt and applesauce would both make the muffin denser and a little chewier, so I thought I should only use one or the other. Add in about two thirds of the granola and stir until it’s just mixed through the dough. 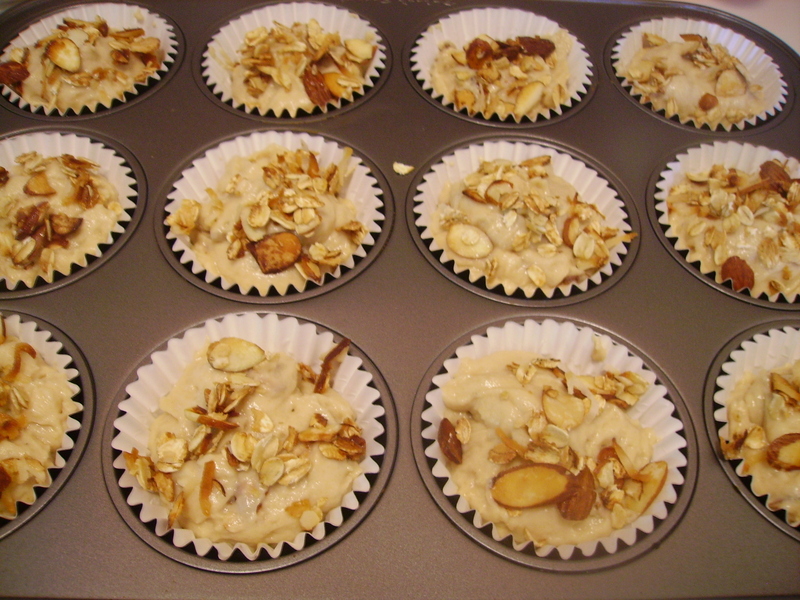 Scoop the batter into 12 waiting muffin cups. Top with the remaining granola. Bake for 20 minutes. If you want (and to possibly make the muffins more appealing to little tykes), drizzle a little honey over each of the warm muffins. Honestly, I am not a huge fan of honey by itself, so I skipped that. Cool for at least 10 minutes before eating, to allow the muffins to set a little more. 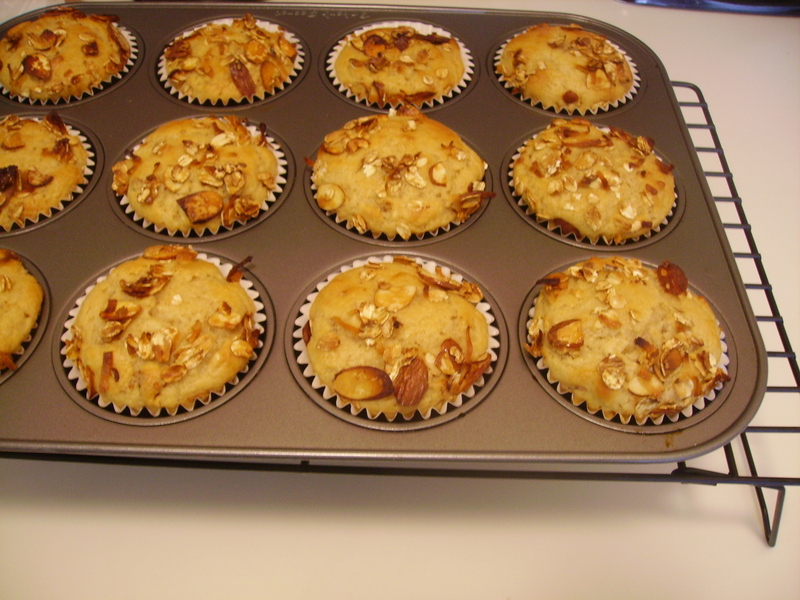 Otherwise, they will probably stick to the muffin papers a bit, and they may be a bit too dense inside. Mix together all the granola ingredients. Spread on a cookie sheet and bake for 5–8 minutes, until golden brown and fragrant. 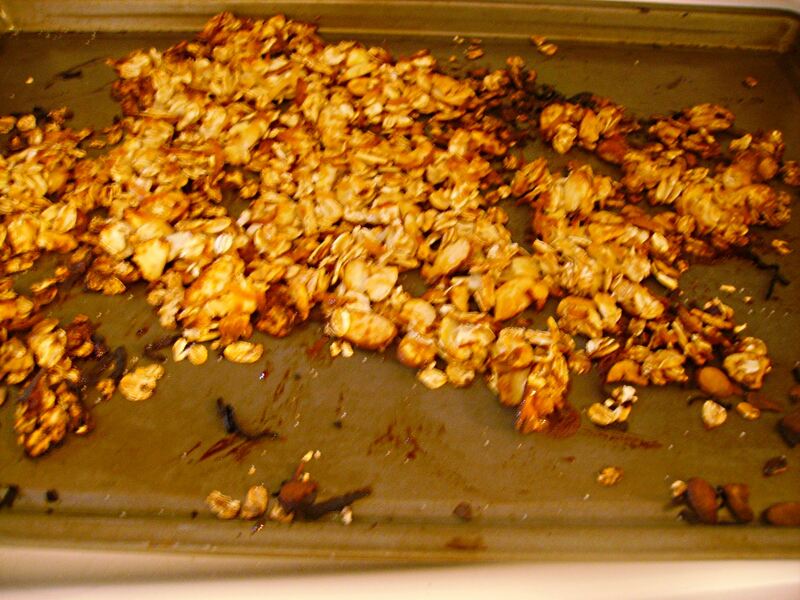 Scrape the granola off the cookie sheet and transfer to a bowl to prevent it from continuing to bake. 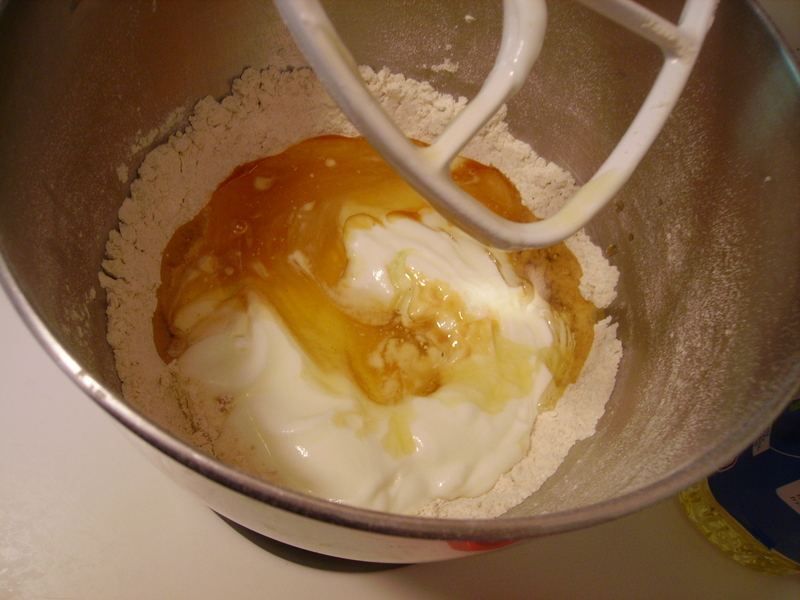 In mixer bowl, combine flours, brown sugar, baking powder, and salt. Add in the yogurt, honey, and oil. Stir until just moistened, then add in about ⅔ of the warm, toasted granola. Batter should be lumpy. Be careful not to overmix lest the muffins become tough and chewy. Line a muffin tin with paper liners. Fill muffin cups ⅔ full. Top with the remaining granola mixture. 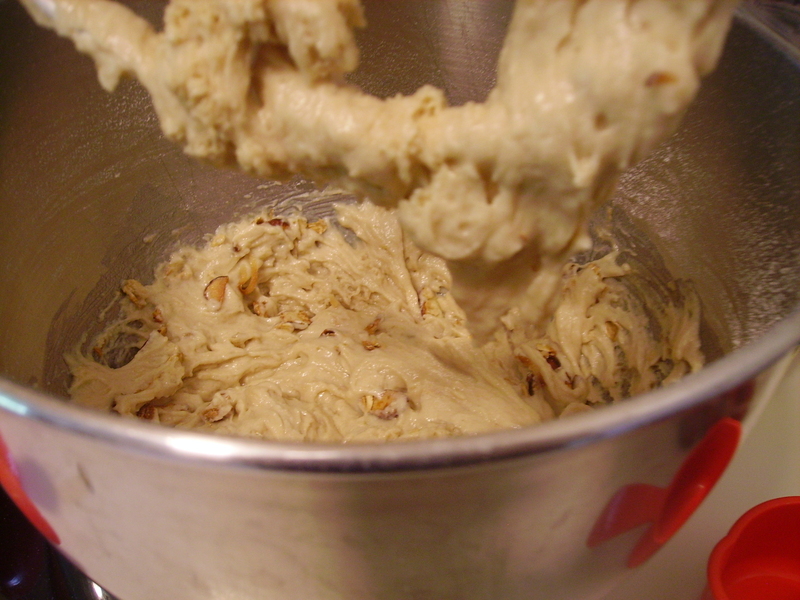 Bake 18–21 minutes. Cool 10 minutes before eating. *Optional: Drizzle each with 1 tsp. honey immediately after removing from the oven.